Everyone live for themselves but actual life is when it is lived for the betterment of others and to fulfill this notion nothing is better than association with an NGO. Chitkara College of Education, in order to sensitize its αLPHA TEACHERS’ organized an interview session with renowned NGO MAD (Make A Difference) wherein they were interviewed so that they could be associated permanently with them. Mr. Arvind Vairavan along with his associates conducted a one-o-one interview session and prior to this a group activity was conducted on the students wherein they had to perform a role play. The interview session left a huge impact on the αLPHA TEACHERS’ as they not only became sensitized towards the upliftment of underprivileged children but they also learnt the need of selfless living. 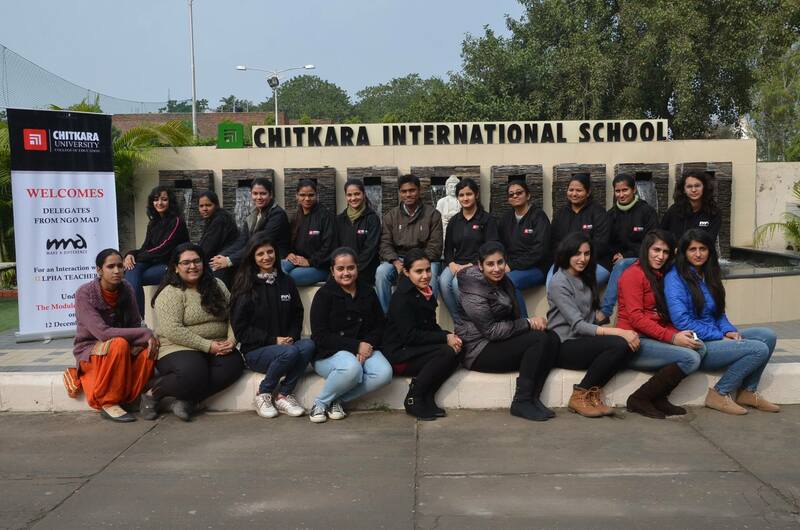 Dr. Sangeeta Pant, Dean, Chitkara College of Education for Women (CCEW) appreciated the vision of volunteers working with the NGO and encouraged them to carry on the good work.